Penn’s Village is pleased to partner once more with Friends in the City and Temple University Press to learn more about the fascinating secrets of Philadelphia places that have almost disappeared—from workshops and factories to sporting clubs and societies, synagogues, churches, theaters, and railroad lines. 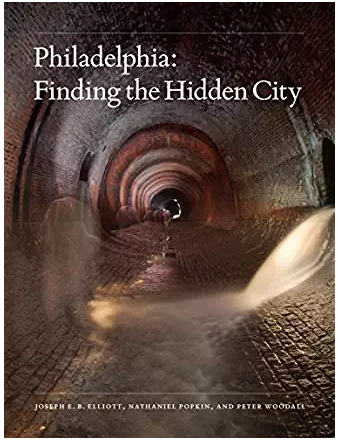 In this newly published book, Nathaniel Popkin and co-author Peter Woodall worked with accomplished architectural photographer Joseph Elliott to explore the hidden depths of familiar locations, such as the Metropolitan Opera House on North Broad Street, the Divine Lorraine Hotel, Reading Railroad, Disston Saw Works in Tacony, and mysterious parts of City Hall. In doing so, they show us the vivid layers of our history. We will meet in the Philadelphia Institute Branch of the Philadelphia Free Library located at 1905 Locust Street. Please email info@pennsvillage.org or call 215 925 7333 to register. The Library is not handicapped accessible, but they are working on it! Books will be available for sale and signing at the event.